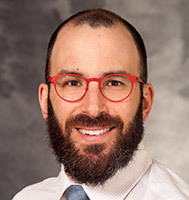 Dr. Adelman is a neurologist at the University of Wisconsin School of Medicine and Public Health. Dr. Adelman specializes in inpatient neurology as well as the care of patients with ischemic stroke and other cerebrovascular conditions. He has special interests in primary and secondary stroke prevention, acute stroke management, and quality improvement.